Un vasto archipiélago de más de 17.000 islas, Indonesia es una tierra de contrastes. Ardientes volcanes y mares tranquilos, ciudades muy pobladas y plantaciones distantes, modernos rascacielos y templos derruidos, dragones de Komodo y un sinnúmero de aves tropicales, jóvenes en patinetas vistiendo alegres pareos de colores y camisas de batik; Más de 300 grupos étnicos y culturas, con docenas de idiomas, con orígenes sociales y culturales de Europa, Oriente Medio, y las influencias asiáticas conforman la sociedad única de Indonesia. Los adolescentes en Indonesia disfrutan de socializar en grupos grandes. Los deportes son populares en Indonesia, especialmente el fútbol, bádminton y Pencak Silat (una forma tradicional de artes marciales). ¿Quieres construir y volar cometas? ¡Este es el lugar para hacerlo! Expect to attend regular gatherings with extended family. Elders are highly respected and make sure you consult your host parents before making any major decisions. Being a member of the greater community is also important and Indonesians tend to feel indebted to their village, their mosque or their professional organization. Communication styles in Indonesia tend to be indirect, in fact, there are twelve different ways of saying “no” in the Bahasa Indonesian language. You will probably attend a public high school, which runs from Monday to Saturday (7 am to 1.30 pm). On Friday, the school ends at 11 am because of the noon Muslim prayer. You will wear a school uniform. After school you can learn traditional Indonesian music or dance. Although there are more than 583 ethnic-languages and dialects used daily in the country, the official language is Bahasa Indonesia. Having a basic knowledge of English will help. 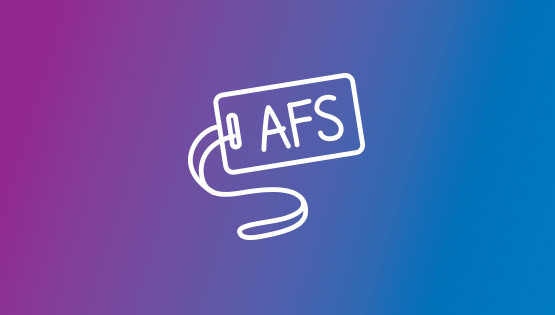 AFS offers language lessons,and will send language study materials before the exchange. Indonesian cuisine combines indigenous techniques and ingredients with influences from India (curries), the Middle East (kebabs), China (stir-frying) and Europe, including products brought by Spanish and Portuguese traders before the Dutch colonized the islands. Cooking varies widely by region so food can be very spicy or sweet. Fish, coconut and chilies served with rice is a staple. The main meal in Indonesia is usually lunch or dinner and communal cooking with designated roles and hierarchies at the table are common.